Brian Clough was an English football player and manager. 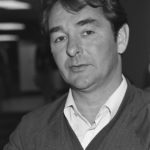 As a striker, Clough was a prolific goalscorer with Middles brough and Sunderland, scoring 251 league goals from 274 starts, making him the third most prolific scorer in the league, with a conversion rate of 91.61%. He also won two England caps, both in 1959. Clough retired from playing at the age of 29, after sustaining anterior cruciate ligament damage. He remains one of the Football League’s highest goalscorers. "When you get to a certain age, there is no coming back." "That Seaman is a handsome young man but he spends too much time looking in his mirror rather than at the ball. You can’t keep goal with hair like that." "I wouldn’t say I was the best manager in the business. But I was in the top one."